Home FREE! 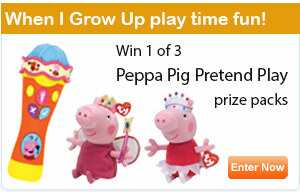 Competitions Ready for a Happy Christmas? 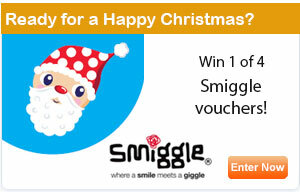 Win 1 of 4 Smiggle vouchers! Ready for a Happy Christmas? 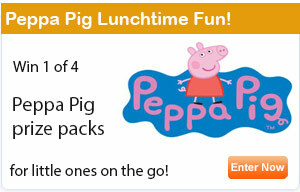 Win 1 of 4 Smiggle vouchers! Thanks to Smiggle we are giving away 4 x Smiggle vouchers, valued at $50 each. We want to put a smile on your dial, with some super fantastic Smiggle Bucks for Christmas! This year, Smiggle is celebrating a first! The very first time they have added a touch of Smiggle fun to bath and beauty products!! Together with Christmas essentials and classic Smiggle gifts, you’ll also find some really rather unexpected present ideas. This year Smiggle is making Christmas even merrier, with its usual touch of glitter, sparkle and fun, at prices that range from pocket money picks to big ticket items! Everything is available from Smiggle stores nationally (and internationally!) or online at www.smiggle.com. Smiggle Bucks may not be redeemed for cash. No credit or change will be given on the unused portion of the Voucher. Unclaimed prizes: In the event that the Prizes have not been claimed by 12 noon AEST 21 December 2018, subject to any directions given by State and Territory gaming departments the prizes will be awarded to the next best eligible entrants as chosen by the judges.